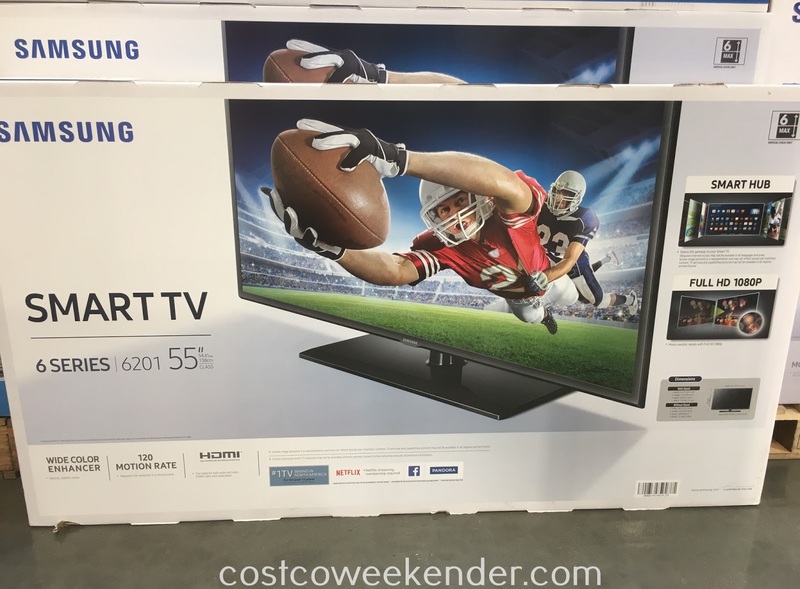 If you're in the market for a good television, then check out the Samsung UN55J6201A 55in 1080p LED LCD TV at Costco. 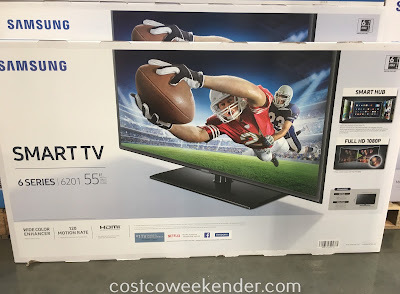 The Samsung UN55J6201A 55in tv is big enough for most living rooms or family rooms, so that everyone in the room won't have any issues watching a flick for movie night. 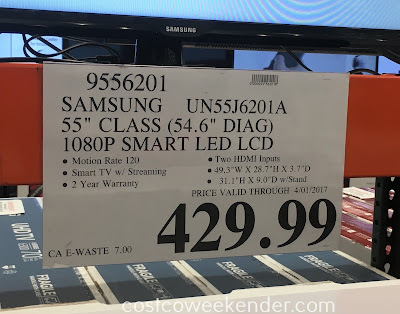 The Samsung UN55J6201A gives you clear picture and sharp display that you won't have a problem binge watching Walking Dead and/or the last season of Game of Thrones in one afternoon. The Samsung UN55J6201A also features built-in wifi and additional apps. You won't regret getting the Samsung UN55J6201A since it gives you everything a smart tv should.